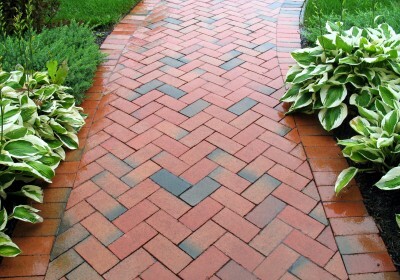 If your patio, driveway, block paving or garden furniture has gone green then M&M Gardening Services can help restore its sparkle with a jet wash. Using the latest high pressure cleaning equipment in Sheffield, we'll have your surface looking as good as new. Keeping outdoor surfaces clean is simply and easily achieved with regular jet washing; patios, driveways, block paving, garden paths and even some types of outdoor furniture can benefit from our expertise. Yes, you could buy a jet wash and do it yourself, but we feel - as do many of our Sheffield customers - it's more effective in the long run to let the experts handle it for you. Why pick up the phone to us? While our jet washing service thoroughly deep cleans surfaces, there's no disruption and we don't use harsh chemicals that may cause damage or harm the environment. Jet washing is a very good way to prepare surfaces for painting, and tired surfaces that you may have thought might need replacing can be brought back to life - you will be amazed with the difference. We'd be happy to quote, whichever part of Sheffield you're in, so feel free to get in touch and ask for a free and full quotation for some deep cleaning. Call today on 0114 304 9252. We have hundreds of happy customers throughout the area.